If you want your oven to be always in good working order you need to clean it deeply at least twice per year. Now in East London there is a solution for everyone who doesn’t know how to make their greasy oven clean and sanitised again. For years already we deliver to our customers a dip tank oven cleaning that removes absolutely all dirt and food deposits from all kind of ovens. We are a reliable and serious company with vast experience in the field of cleaning. Thanks to the hard work of our competent cleaning technicians, we have earned the trust of hundreds of people. 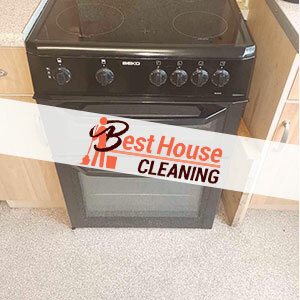 Our magnificent oven cleaning services are suitable both for domestic and commercial need and you can take advantage of them 7 days per week. With us you don’t need to worry about quality because our skilful technicians use specialised cleaning methods and strategies, which allows them to clean every single part of the oven. The high results of their job can’t be achieved with domestic cleaning tools. In our dip tank oven cleaning is included pre cleaning inspection, stripping out the appliance, comprehensive cleaning of every component and assembling of the oven. Why are we are the right company to contact? Give us a chance and experience the pleasure of cooking in a clean oven again. It doesn’t matter if you have a single, a double oven, a range or an Aga oven, we know how to deal with all of them. Our main priority is to deliver a service that corresponds to the needs of our clients completely, therefore, we carefully choose the cleaning experts in our team. For your piece of mind, all of them are professionally trained and supplied with the most modern cleaning equipment. They have excellent communication skills, so don’t hesitate to share your desires with them. Everyone who needs a hand with the cleaning of their oven is welcome to contact us. Our diligent technicians operate through East London and one of them will be in front of your door exactly when you need him. We are waiting for your call! Best House Cleaning London © 2017-2019. All Rights Reserved.